Russian Vladimir Putin attends a meeting with Russian ambassadors to foreign countries in Moscow, Russia, Thursday, July 19, 2018. 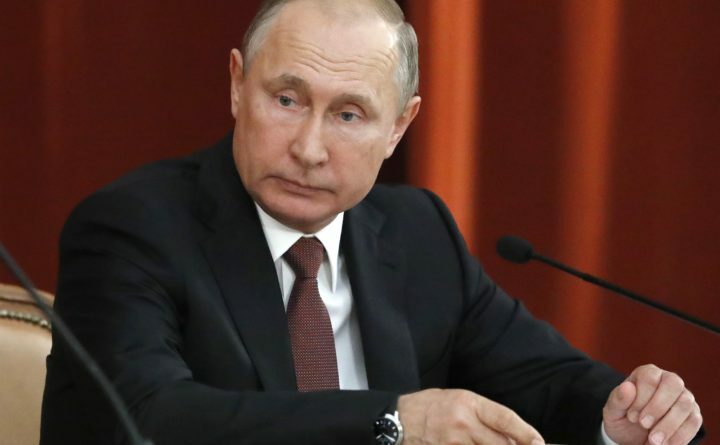 Putin says his first summit with U.S. President Donald Trump was "successful" and is accusing Trump's opponents in the U.S. of hampering any progress on the issues they discussed. MOSCOW — Russian President Vladimir Putin and U.S. President Donald Trump discussed the possibility of a referendum in separatist-leaning eastern Ukraine during their Helsinki summit, Russia’s ambassador to the U.S. said Friday. Yuras Karmanau, Dmitry Kozlov and Geir Moulson contributed to this report.